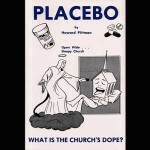 What is the Church’s Dope? Webster’s dictionary defines “placebo” as a “medication prescribed more for the mental relief of a patient than for the actual effect on his disorder, or something tending to sooth.” The doctors tell us that if we know we are being treated with a placebo, it does not work. In our minds we must think that it is a real medication and has the strength or power to heal. If the patient believes this, then the treatment has been known to work wonders in many cases that otherwise could not have been treated. Placebo treatment is, in fact, nothing of substance, but in the mind of the patient it is real. In order for this kind of treatment to work, the doctor must convince the patient of the work of the medication. My friend, I declare unto you that this is exact “treatment” that most “mouth-professing” Christians are using today. The doctor administering this “medication” is Satan himself. He gives the “patient” a sugar-coated religion, a shallow experience, and whispers half-truths into his ears. He then tells the “patient” that it is real and that it is all the “patient” needs. Doctor Satan will allow his “patient” to continue to go to church, sing, pray, teach and even preach. But the “patient” will not be allowed to live the life that he confesses with his mouth. 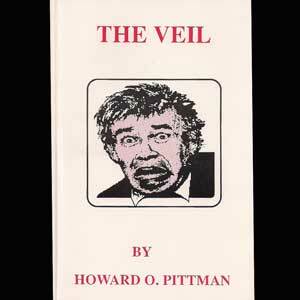 On August 3, 1979, Howard Pittman’s artery ruptured and died. His spirit was lifted from his body and taken into the Second Heaven where he saw many startling things. 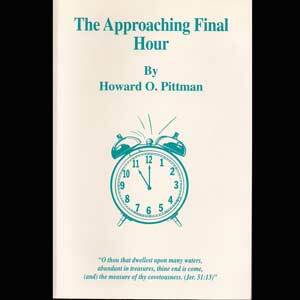 Howard appeared before the Lord in the Third Heaven where he pleaded for an extension of his physical life. It was here that God showed him what kind of life of worship and service to Jesus Christ he had really led. He was given a message to bring back to God’s latter rain soldiers in this generation. That message is what this book is all about — The greatest news since Pentecost! 9/22/13 I came across a book and ordered it about a week ago. Last night when I went to bed I decided to start reading it. Well….I ended up reading the whole thing. I could not stop until I reached the last page. I was reading things that God has been showing me lately. Bible verses that have been popping up often and were being placed deep in my heart. Thoughts that were confirmed by things I read in this book. Wow….I so love when God shows me things, brings things and people into my life, and teaches me new and wonderful things. I was so blessed to find and read this book. It confirmed some things for me and taught me some new things. 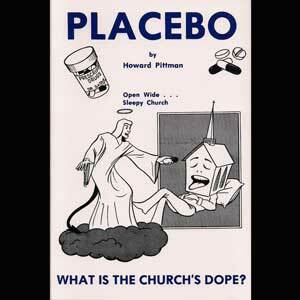 At first glance Placebo looks like a strange little book by a country preacher. To those who have eyes to see and ears to hear it is a message from heaven. It introduces no new doctrines; it confirms and clarifies “what the Spirit sayeth to the churches.” This testimony revolutionized my worldview when I first read it in 1992. Subsequent world events bear out the authenticity of this testimony, as we see the Warrior Demon goading governments into the madness of war and the Demon of Greed leads bankers and political leaders in a Gadarene stampede toward economic ruin. 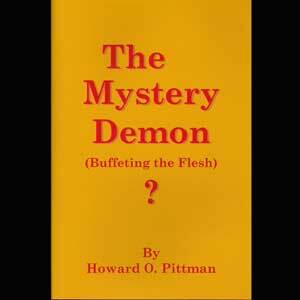 Brother Pittman’s message has also been confirmed by the recently published Equinox Prophecies. And though the Laodicean church continues its sleepwalk into darkness, the Awakening has already begun. I believe that soon we will see the muster of the Lord’s Army. Everyone I know who has read Placebo has been impacted by it. If you read it yourself, you will be glad you did!